The International Institute of Tropical Agriculture (IITA) has hosted more than 60 youths all over Africa to a three-day training on “Empowering Agripreneurs on Agripreneural and Business Management” reports NaijaAgroNet. The training, NaijaAgroNetreports, was held at the headquarters of the International Institute of Tropical Agriculture (IITA), Ibadan, Oyo State, Nigeria from the 3rd to 6th February 2015 is targeted in training youths from different African countries with diverse discipline and giving them the opportunity to engage in agriculture business. 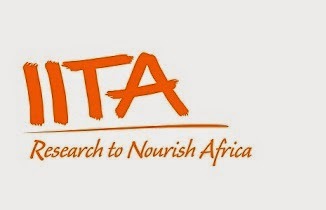 NaijaAgroNet also reports that Dr. Nteranya Sanginga, the Director General of IITA, urged participants to use their combined effort in participating to get what is needed in the development of youth and agriculture. adding that is not possible to have a develop country without employed youths.